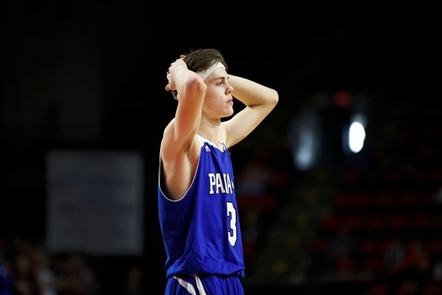 BINGHAMTON — The New York State Public High Schools Athletic Association Class D boys basketball final four remains a place of agonizing defeat for Panama. In 2016, the Panthers seemed on their way to a state final — nursing a 13-point lead with five minutes left only to go cold from the field the rest of the way in a 3-point loss. 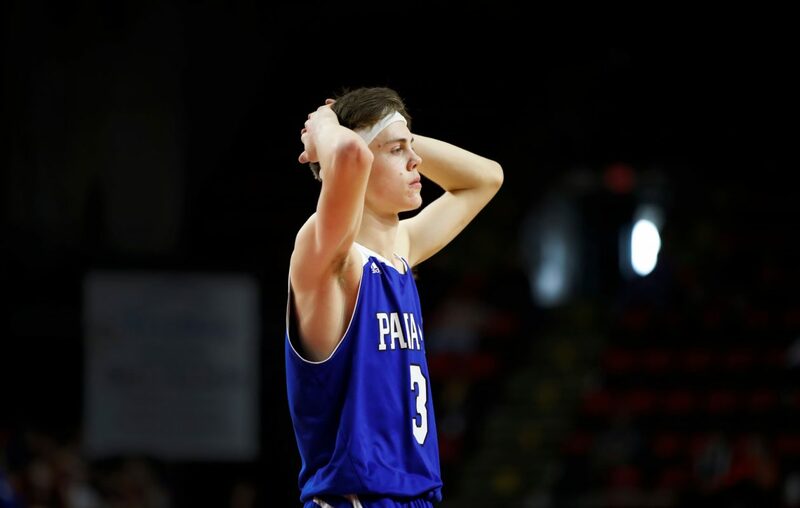 As painful as that one was for Panama coach Ed Nelson — Saturday afternoon’s 61-57 overtime defeat to Section II champion Oppenheim-Ephratah/St. Johnsville could very well top that one. That’s because the Panthers seemed like they had punched their ticket into Sunday’s championship game at Floyd L. Maines Veterans Memorial Arena. They had a 4-point lead with 14 seconds left. Only one thing could’ve burned them and that’s exactly what happened two seconds away from being in the biggest game of the year. After Jack Sperry blocked a 3-point try by Zach Mosher, the rebound ricocheted off a couple of hands to Tyler Leon (20 points, 21 rebounds). The senior big man calmly drained the trey and happened to be fouled in the process by Sperry. Leon drained the free throw — completing the 4-point play to tie the game at 50 and force overtime. Though Panama scored the first basket of the extra session, the Wolfpack (21-3) scored nine of the next 11 points to seize control for good and earn a shot at the title against Section X champion Harrisville here at 3 p.m. Sunday. “I don’t even know what to say,” Nelson said. “Both times here and the basketball gods weren’t kind to us. You have to finish and we didn’t finish. Although OESJ bolted to 15-6 lead through one quarter, the Panthers (18-7) clawed their way back into it and only trailed 21-20 at halftime. Cam Barmore had five of his team-high 16 points in the second quarter, while Sperry, Mitch Hovey and Dominic Spontaneo each hit three-pointers during the period. Though both teams exchanged the lead during the final 16 minutes of regulation, neither led by more than four points. Panama seemed to be on its way to victory when Sperry drained a three-pointer that broke a 44-44 tie with 1:14 left. After two free throws from Barmore and another from Sperry, the Panthers led by four. On defending the three at the end instead of just getting out of the way to avoid any potential contact? “I don’t think I had any contact,” Sperry said. Nonetheless, a team that scored 14 first-half points in its season opener improved to the point where it can be called one of the best in the state — reaching the program's second final four. “I’m proud of these boys,” Nelson said.